The original part of the Hall and some of the outbuildings were built in 1783 and an extension was added to the main house in 1879. It was once a very busy farm and part of the Barlow Hunt, where the Puppy’s for the Hunt were bred and housed (now the chicken coups). 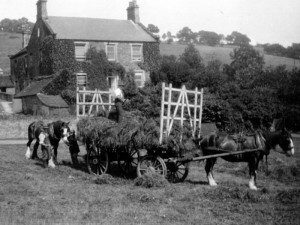 Pre-descessors include The Wilsons who had a long history here in the Hall and in the Cordwell Valley. The Wilson’s were a wealthy Sheffield family who made their money through milling Snuff for all the congested chests of the Sheffielder’s that worked in and lived near the highly polluting Steel Works and Cutlery making workshops of their time. Their’s was reputedly the longest-running and most profitable Snuff Mill in England and is only 15 minutes away in Sheffield, still standing. 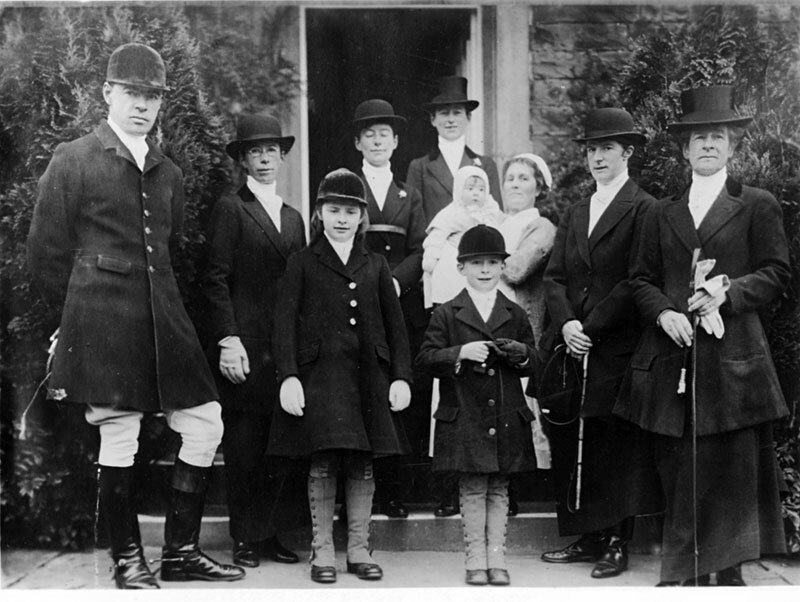 The Wilson’s family main legacy was their Horses and the Hunt. The Barlow Hunt used to be run out of Horsleygate Hall and now is a neighbour. You might well hear the Hounds at various points in the day, and see the spectacle of them being taken for a walk. Three children were raised here; William who died tragically fighting in the last week of the Second World War, Miss Anne Wilson who lived locally in Highlightly until tragically meeting her end in her 90’s and Miss Elsie who lived here all of her life. 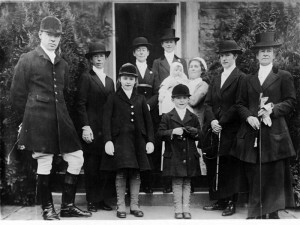 Miss Elsie Wilson, daughter of Major Wilson (Chatsworth Rifles), was the Mistress of the Hunt for many years and was brought up in the house and lived here all her adult life. Her passion was always horses and the garden and we are lucky enough to have some photos, diaries and memorabilia left behind. As you will see horses still play an important part in the life of Horsleygate Hall and have some of the best views on the property. They are still on the property in the stables and on some of the back fields. Just further along the Cordwell Valley (2 minutes away) there is some fascinating Literary history linked to Edward Carpenter who bought George Barnard Shaw, WB Yeats, John Galsworthy, E.M.Forster, H.G.Wells, Olive Shreiner (novelist) and many others to the area. 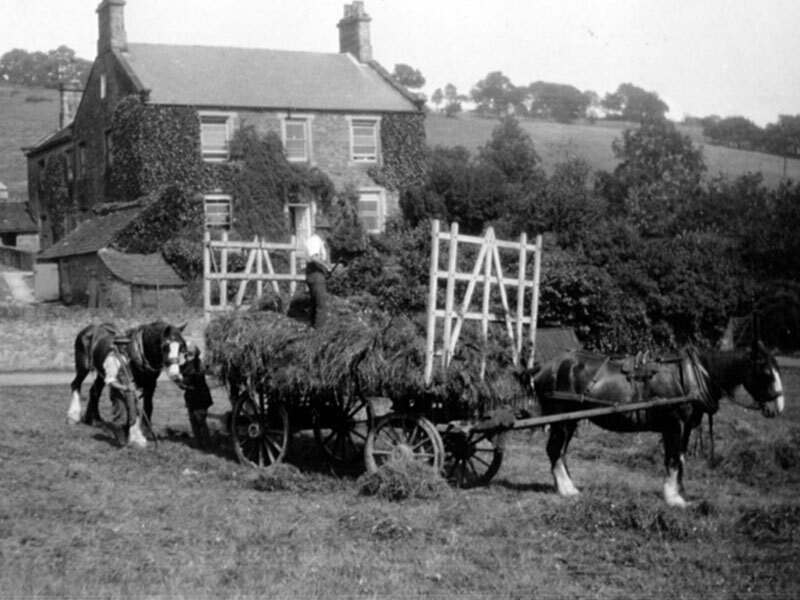 It is rumoured that Animal Farm was conceived and written during a long summer at Cordwell Farm. Of particular note, Edward Carpenter’s long standing friend; Old Etonian Captain Lawrence Oates, Captain Scott’s fellow explorer, who perished on the return from the South Pole with Scott in 1912, stayed in the valley. His famous final words of ‘I’m going out, I might be some time’ immortalised in history. Latterly, the Ford’s who have had a long history with the local area, took on the challenge of the run-down estate for the last 25 years and set about rediscovering the Victorian Gardens and bringing them back to life whilst adding a significant dose of horticultural splendour themselves. Their legacy lies in the gardens. They have tirelessly built award-winning gardens and have grown the most amazing and varied produce, adding their own skilled and knowledgeable touch of interesting plants and garden structures that you can enjoy. The Orchard, Kitchen Garden, Woodland and Formal Garden are a huge compliment to them. Garden Opening Times to non-resident are advertised in the Garden Open Days section. The Moore’s have bought the property in late 2013 and together with their young family have endeavoured to improve the family home and self-catering accommodation whilst maintaining the beautiful gardens, and producing fare from the kitchen gardens and Orchard which customers can enjoy. They are keen on adding art and creativity to the gardens and guest accommodation that is created by local talent and are proud to act as a gallery to their local chosen businesses. As small business owners themselves they are also passionate about customer service, warm welcomes and spending in the local/rural independent economy to support this shrinking but vital sector. They are improving the facilities on the site on an on going programme. They have recognised the uniqueness of the site, it’s incredible eco-system, it’s tranquillity and beauty, proximity to all the outdoor activities enjoyed in the Peak District; and are happy to share this with customers, convalescing or poorly patients, educational groups, bridal parties, corporate training groups, childrens parties and garden/wildlife visitors.